Americans are taking massive amounts of painkillers. The federal government is very concerned about the level of abuse and wants to take steps to reduce this dependence. Why are Americans taking so many painkillers? The prevalence of chronic pain in the United States has been estimated to be upwards of 100 million people. This spans all age groups, races and genders. The common medical approaches to managing pain, including primarily medications (which we often call drugs), injections, procedures and surgeries. Unfortunately, physical therapy is not offered enough, is often limited by insurance, including Medicare, and is not always completely effective. Pain medications can be addicting, create all kinds of side effects and even death. One of the most commonly used medication groups, other nonsteroidal anti-inflammatories (NSAIDs). NSAIDs have been found to cause about 16,000 deaths per year, due to gastric bleeding. In addition, NSAIDs damage the kidneys and liver. Chronic dependence on NSAIDs, also reduces the body’s capacity to heal itself from injury or tissue damage. Tylenol or acetaminophen, damages the liver. Thousands of people a year end up with liver failure due to unwitting acetaminophen overuse. Acetaminophen is often hidden in over-the-counter medications, like cold and flu formulas. People are innocently overdosing with it. Narcotics such as codeine, oxycodone, and OxyContin are addicting. Sedatives, antidepressants and tranquilizers are also used for pain management. Their use escalates during the addiction process and there is a significant illegal market in these drugs or, as gateway drugs, leads to heroin or fentanyl abuse and overdose deaths. 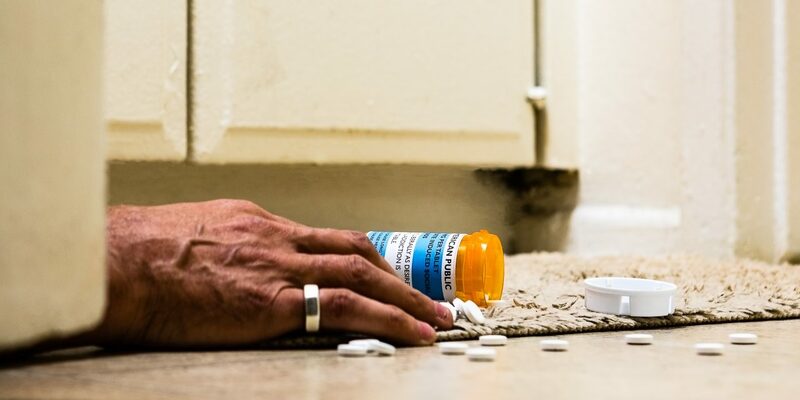 Prescription pain and anxiety drugs are potent, highly addictive and especially dangerous when combined with one another or with other drugs or alcohol. Among the most commonly abused are OxyContin, Vicodin, Xanax and Soma. One relative newcomer is Fentanyl, a painkiller that comes in the form of patches and lollipops and is 100 times more powerful than morphine. These drugs now cause more deaths than heroin and cocaine combined. Following the introduction of oxycodone into Toronto Canada’s drug formulary in 2000, there has been a 500% increase in deaths due to the drugs. Between 1991 and 2004, oxycodone prescriptions increased by more than 850 percent, representing about one-third of the opioid prescriptions given in 2006. Opiod use is often defined by morphine milligram equivalents (MME). In 1999 the MME person was 180 and 2015 it rose 3-fold to 640! 640 MME per person equals 5 mg of hydrocodone every 4 hours. In 2015 the amount of opiates prescribed was enough for every American to be medicated around the clock for 3 weeks. Even at low doses, taking an opioid for more than 3 months increases the risk of addiction by 15 times. A dose of 50 MME or more per day doubles the risk of opioid overdose death, compared to 20 MME or less per day. And, at 90 MME or more, the risk increases to 10 times. (CDC) The vast majority of people who died from opioids had visited their doctor and received a prescription for oxycodone within a month of their death. Injections are standard medical practice and create their own problems. Most of the injections are steroids. We have all heard about the fungal meningitis caused by epidural steroid injections. In fact, fifty-five people died in 2012’s nationwide fungal meningitis outbreak linked to injections of tainted steroids. In addition, local injection of steroids creates its own tissue destruction leading ultimately to an increased risk of injury and further damage to the surrounding tissues. Injections are usually limited to one or 2 into the same location in a lifetime, because of these risks. At the most, injections give temporary relief in any event. Doctors are too cavalier in using these injections, because they don’t know about or don’t want to acknowledge that there are safer alternatives outside conventional medical approaches. Because of our dependence on insurance coverage for medications and the other medical therapies, people often do not try alternative or complementary approaches enough or at all, particularly for chronic pain. What are some other approaches or alternatives to managing pain, that should be sought before more invasive or toxic approaches are used? There are many. A short list includes: chiropractic, massage, acupuncture, physical therapy, dietary changes, herbs and supplements, mind-body approaches, healing techniques, such as Reiki, and energy medicine technologies. I have been trained in acupuncture, nutrition, mind-body techniques and energy medicine. I have used all of these approaches with appropriate and reasonably expected success. When I did my training in acupuncture, in 1990, acupuncture was very early in its acceptance in the US and mostly shunned. So, at that time I started looking for alternatives to using acupuncture and came upon the use of magnets. Magnets have been used in the Orient for decades, even centuries, to stimulate acupuncture points, as an alternative to using needles. As I started delving into the science behind magnetics and its effects on biology, I realized there was a large body of literature to support positive effects in the body. I also began to see that a lot of the science had to do with electromagnetic (PEMF) therapy and not physical magnets. Physical magnets are often called static magnets, because, once they are formed, they remain magnetic. In other words, the magnetic field is not turned on or off. Because there was so much more science behind PEMF therapy, I eventually met up with a doctor from the Czech Republic who had translated a lot of the Eastern European science behind the use of medical magnetic fields. As a result, we collaborated and published the book, Magnetic therapy in Eastern Europe: a review of 30 years of research. Now, this is not a book for the average person. It is very technical. Nevertheless, the point here is that there was a decent amount of experience already using PEMFs to treat various medical conditions, most commonly pain. After this, a large amount of my personal clinical effort towards managing pain clinical shifted to using PEMFs. So, what is the value of PEMFs over other technologies in managing pain? The big advantages are that they do no harm, do a much better job at impacting the causes of the pain for a better longer-term solution and can be used at a person’s own convenience in the home setting. The causes of chronic pain include swelling in the damaged or injured tissue, lack of circulation, inflammation, poor ability to regenerate damaged tissue, nerve damage, muscle spasm, and others. Certainly, cutting or burning oneself or having an infection destroy tissue, are all causes of pain. These types of minor injuries often resolve on their own given enough time. But, for those with chronic pain, these acute problems often converted into chronic problems because they just didn’t heal themselves properly. A lot of chronic pain, such as arthritis, or from a bulging disk in the lower back, is not due to any obvious cause. Chronic pain is often associated with aging. I describe aging as “death by 1000 cuts”. So, aging and chronic pain are often caused by a lifetime of minor injuries, infections or other insults to the body. This is seen most commonly in professional athletes, who endure multiple minor or even major injuries over their professional and personal playing time. People who have physical jobs also have multiple minor and major physical stresses in their lives. How do PEMFs work to relieve pain? Magnetic fields (PEMFs) go right through the body as if the body was not even there. It can be visualized as the wind blowing in the trees. You can’t see the wind, but you can tell it’s there because the leaves are rustling. The wind does not stay in the tree, it just passes on through. So do pulsed magnetic fields. While the PEMFs are passing through the body, they stimulate the cells of the body and produce increased energy (charge) in the tissues. This increased energy can then be used by damaged or injured cells and tissues to better repair themselves. This is a self healing process, that is stimulated by the use of PEMFs. This was a point made by Dr. Oz, that PEMFs can be a cure for pain. They do so because they treat the cause not just the pain itself. They are not a Band-Aid, although they can act that way sometimes too. I was invited to appear on the Dr. Oz show to review devices he wanted to demonstrate. Dr. Oz introduced me as a world expert in PEMFs. Magnetic fields have actually been found to have a pain killing effect, equal to about 10 mg of morphine, so not only do they help resolve the underlying cause of the pain problem but they also can help to produce a natural analgesic effect. Where can one find more information about PEMFs? The Internet is full of information on magnets and magnetic therapy. There are many PEMF devices sold on the Internet as well. The information is very confusing and people often make significant claims that their specific machines or devices are the best. I have set up the website, DrPawluk.com to provide more scientifically and medically valid information about PEMFs. As a physician, it is my ethical obligation to provide people with choices. The more research I did and the more devices I looked at and reviewed and, in fact, used, both in my practice, for myself and my family, the more I realized there is no “one size that fits all,” that there is no one device that is a perfect solution for all problems. As a result, on my website, I have presented reviews of a number of different devices I have used and recommended. As I said, I do not emphasize any one device as being better overall than any other. The choice of the device for anybody with chronic pain will depend completely on the nature of the pain they have. Certainly, some devices are better for certain kinds of problems than others. I will therefore use certain devices more for specific situations. Part of the question about which device to use depends on whether the problem is local or general, or whether there is more than one location of pain, which is often the case. Another option is whether the device is portable or requires you to be in one place for extended time to get your treatment. Who should consider pulsed electromagnetic field therapy? simply is looking for an alternative approach to manage their pain. PEMF therapies can be used alongside most other therapeutic modalities. In fact, combinations of approaches are often even more effective. Who wouldn’t want at least a 30 to 70% reduction in their pain, if not even eliminate it, but, done safely? I often tell people that when they buy a PEMF therapy system, they don’t own it – the house owns it! This includes the dog, the cat and the plants. PEMFs are just as effective, often even more effective, in animals than they are in people. In fact, much of the research on PEMF therapies has been done in animals, so the results certainly have been proven for pets. I offer the website, www.DrPawluk.com as a place where you can find credible, scientifically-based information and education about PEMF therapies. I also provide reviews of different PEMF products that give you various device options. 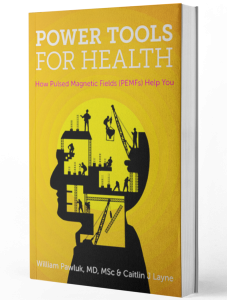 In addition to the book, “Power Tools for Health,” I also give new information about PEMF research at https://www.drpawluk.com/category/pemf-studies/.